Forums » General Discussion » The Water Cooler » Guess what I ordered today. #365037 - 01/28/12 10:58 PM Guess what I ordered today. I ordered something today. BobK helped. Another low powered tube amp. 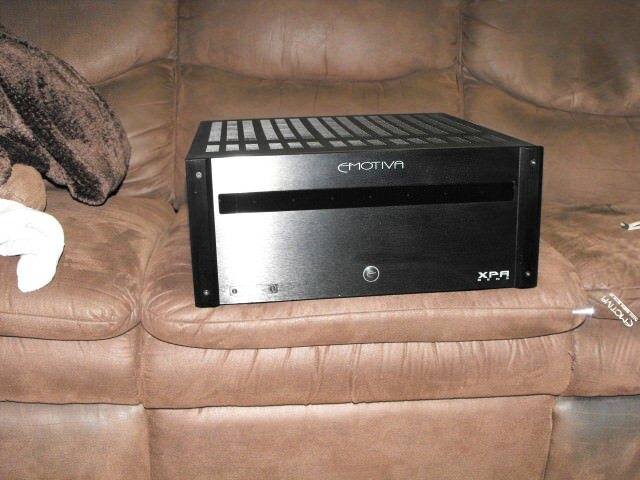 A solid state digital AV Receiver. A Bose Acoustimas home theater. M80s in High Gloss Orange. oh yeah,when do we get the answer and what do we win. Poll officially expires the 31 but BobK has permission to spill the beans. the answer is the category that currently has zero selections. I ordered a Pioneer class D AV receiver. I ordered a Pioneer SC-55. And I was so sure it was the Bose system. That looks like a good'un, nice buy! He settled for the receiver. Did he mention that he beat her to death over the price? Edit: It lists for $1600. Even though it's a special order item, he paid <$1100. If he ever responds to your Crag's List "for sale" ad, just give him the thing and walk away. It'd hurt a lot less.